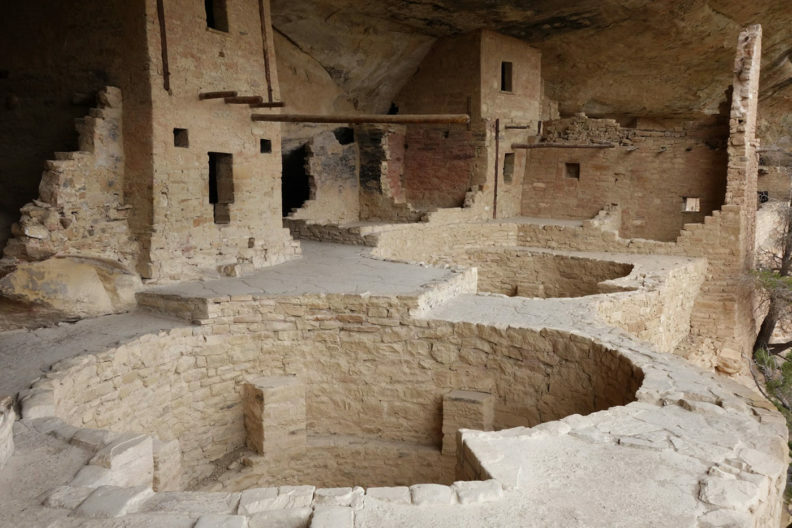 Spruce Tree House: Ancient Pueblo people of the American Southwest had some of the New World’s most sophisticated architecture, climaxing in the cliff dwellings of Colorado’s Mesa Verde. 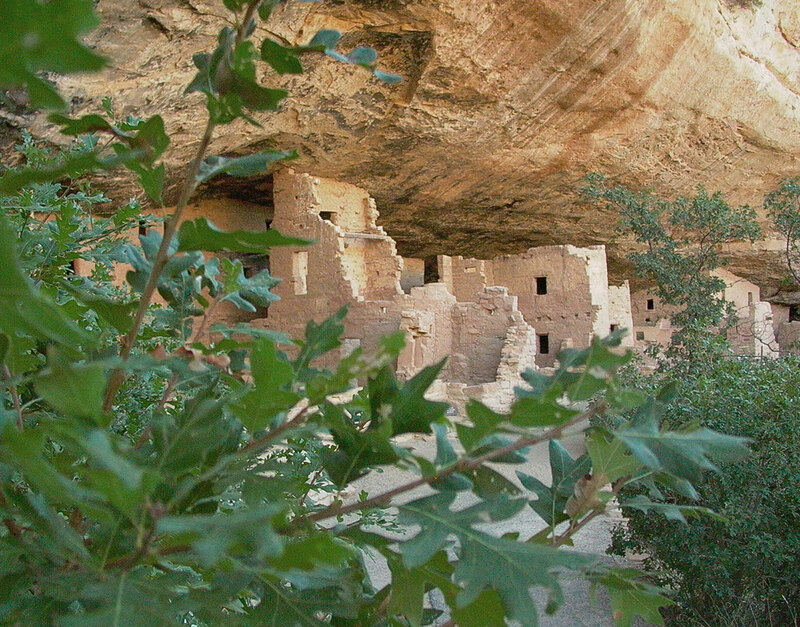 Built in a natural alcove in the 1200s, Spruce Tree House has about 130 rooms. 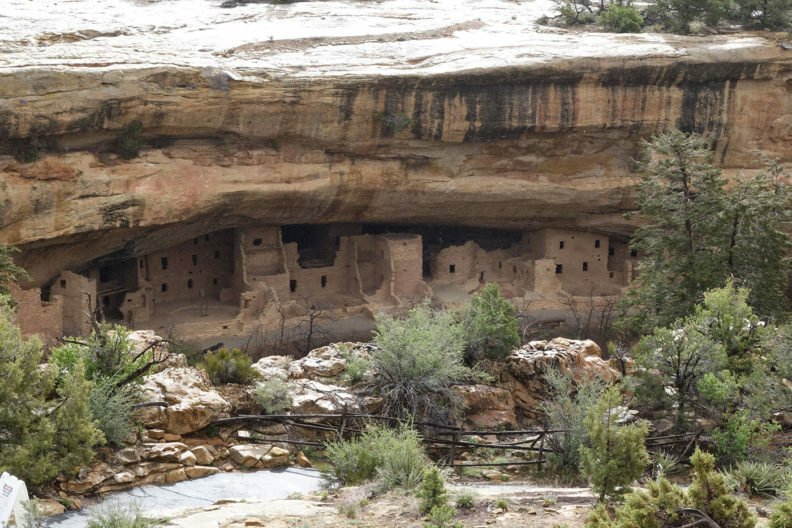 Balcony House is a medium-sized cliff dwelling of about 40 rooms. 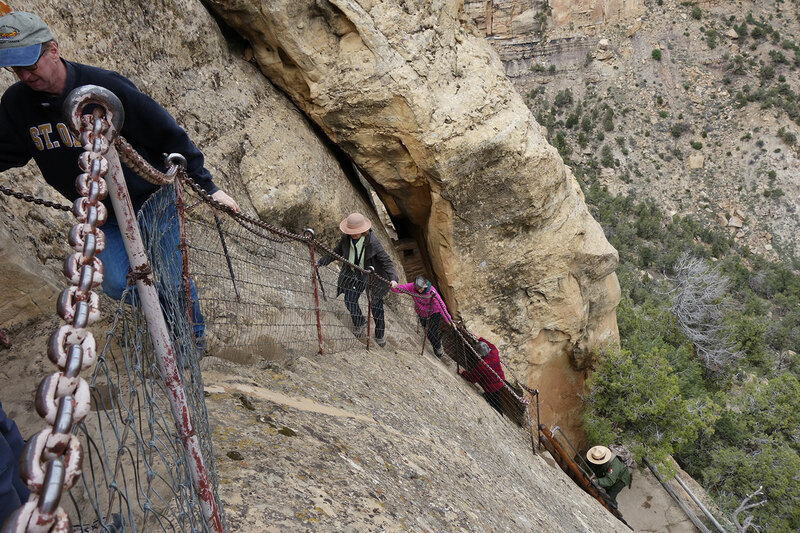 The Balcony House climb: The steep climb out of Balcony House conveys how difficult it would be for attackers to get into the Mesa Verde cliff dwellings. 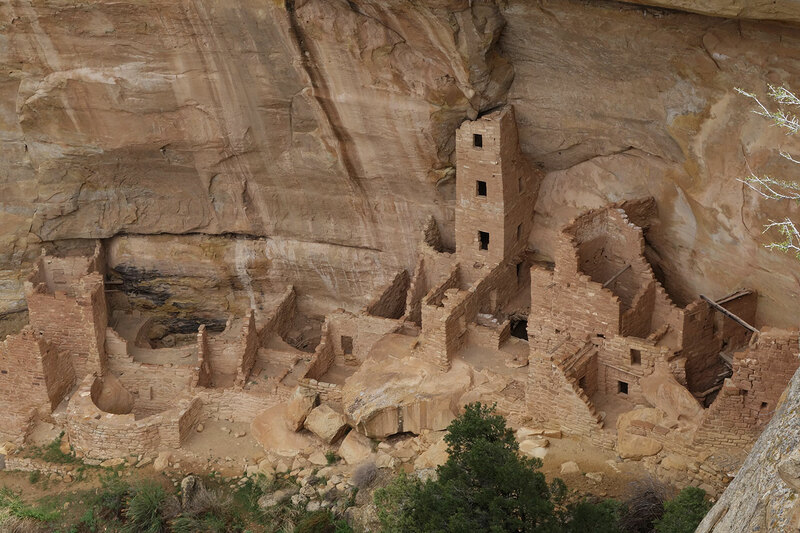 Square Tower House is the tallest structure in the Mesa Verde cliff dwellings. 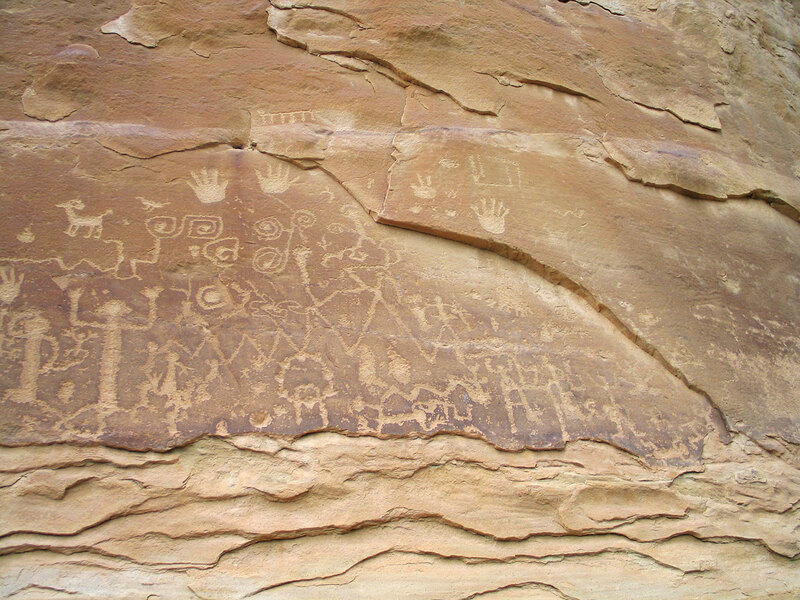 Far View petroglyph: Part of a spiral petroglyph sits on a stabilized wall at Pipe Shrine House, one of dozens of villages in the densely populated Far View Area of Mesa Verde. 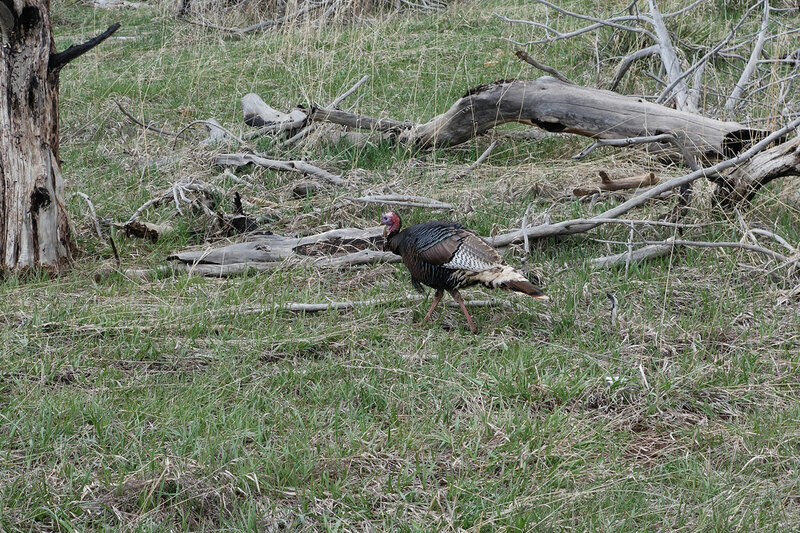 Wild turkeys like this seen at Mesa Verde were a central part of ancestral Pueblo life, both practically and symbolically. 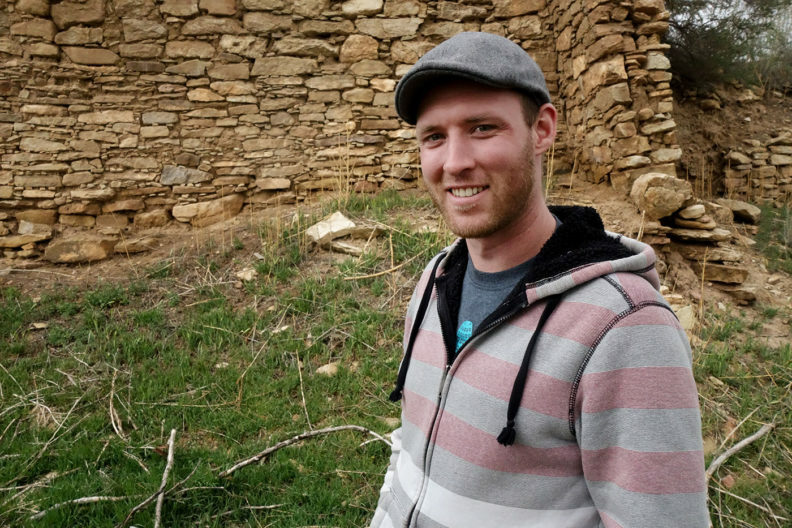 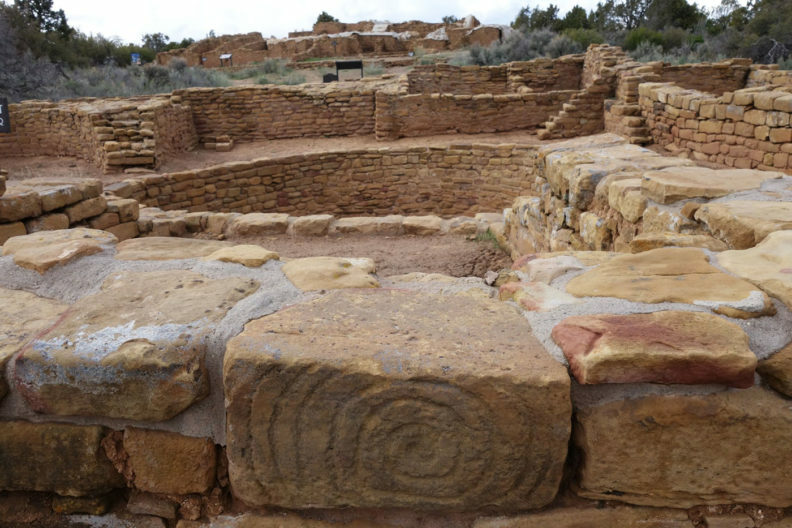 WSU researchers have documented how Pueblo people domesticated the birds and used them for blankets, food and rituals. 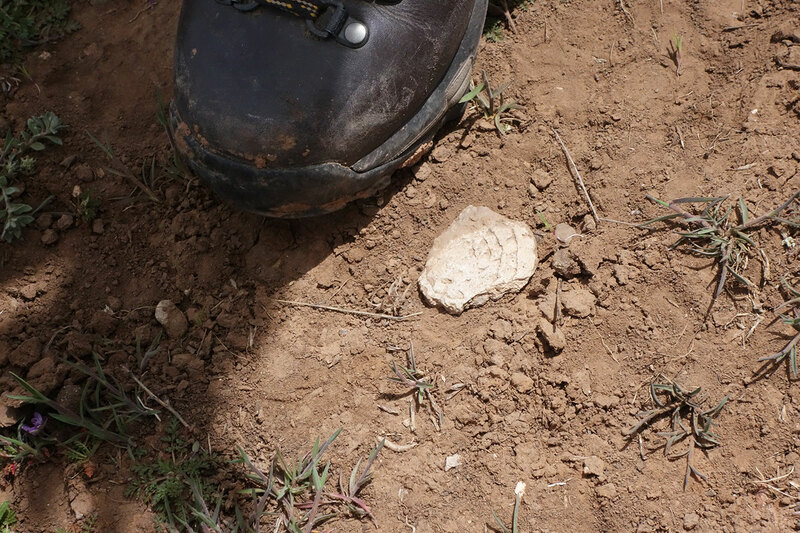 Fragments of stone vessels, called sherds or potsherds, are common in the Mesa Verde area, where ancient Pueblo people lived for hundreds of years. 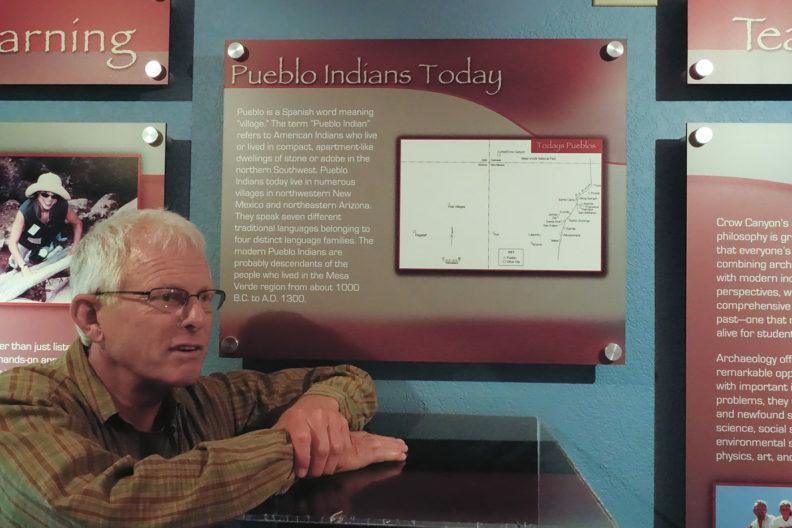 Visitors are discouraged from taking them as souvenirs as they can have offer clues to how ancient people lived.